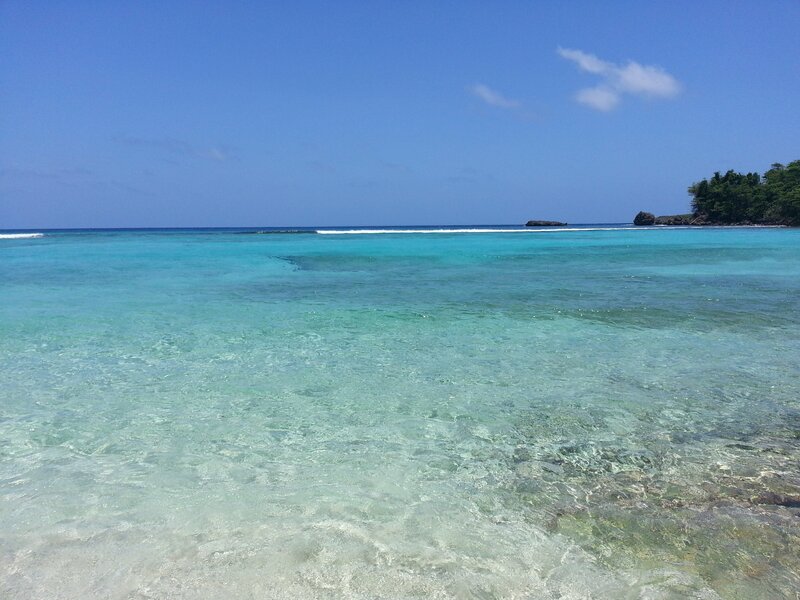 Oh beautiful, perfect, pristine, untouched, Winnifred Beach. As much exploring as I do in Portland, Jamaica, I keep realizing that I haven’t even scratched the surface as yet. This weekend when I was invited to Winnifred Beach, it dawned on me that I had never been. Well, no time like the present. The view when you get to Winnifred Beach. 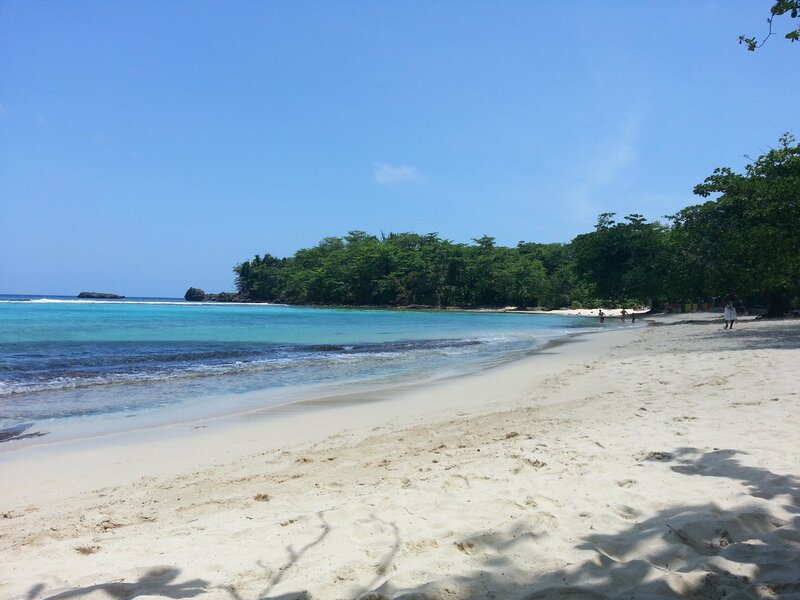 This beach is on Jamaica’s coveted north coast, but not the north coast that all the tourists know. 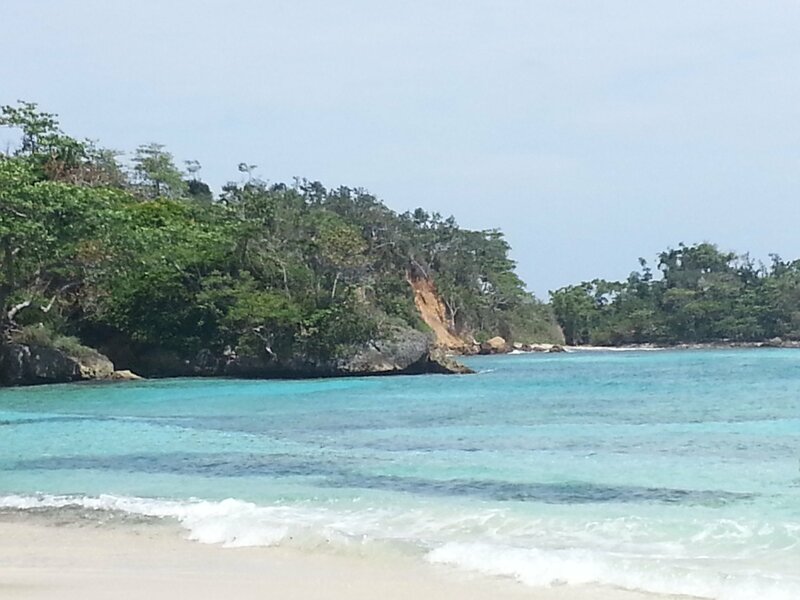 This is the eastern end of the island, the most beautiful parish in all of Jamaica according to many. It’s the home of Frenchman’s Cove and arguably the best jerk chicken and pork on the island. My mother was born here yet I have very few memories of being on this side of the island as a child. I’ve been on a mission to remedy that. Every time I go, I discover that there’s more, and more! The last time I went, we discovered Reach Falls and now this beach. Next time, Trident Castle. But let’s get back to Winnifred Beach. Aren’t these views absolutely awesome?!?!?! And look, caves, nooks and crannies to go exploring if you’re so inclined. I absolutely love this beach. I might love it a little more than Frenchman’s Cove if they didn’t boast a river as well. 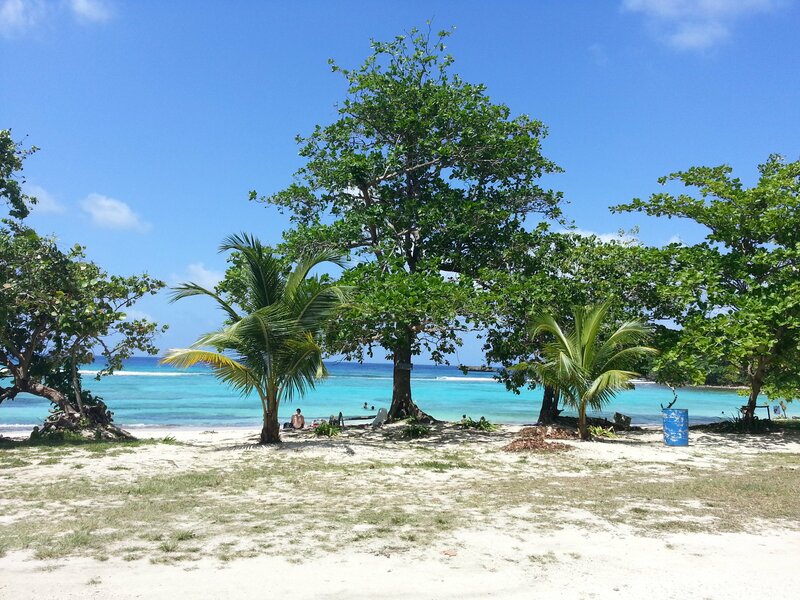 Winnifred’s Beach has ample trees for shade, it’s big enough to accommodate lots of people and it’s just beautiful. 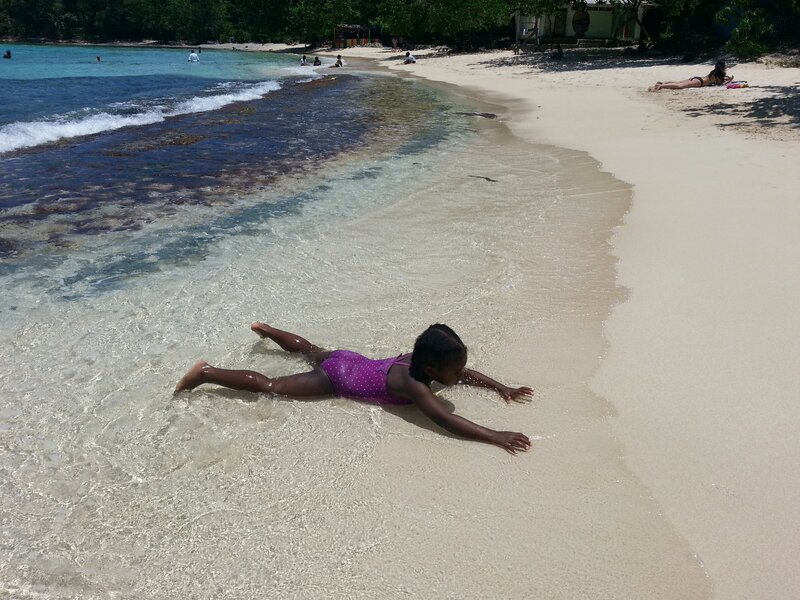 The water is so clear and shallow for a good distance out, making it perfect for families with small children. There’s no other reason you need, trust me. The water was gentle, munchkin absolutely loved it and was able to go out to a nice depth with me and it was so clear! I said that already but it was. I was in awe. We were out there playing spot the fishies. Unfortunately, the path to the beach is horrible. It’s SUV pliable only and probably only those with 4WD should chance the trek. I can bet it won’t get any better any time soon since there’s a huge battle between the locals and the government. The local people in the neighbourhood have set up their livelihood etc here offering craft wares, art, food and other supplies. The government wants to put up cottages, recreational activities, a guard post and of course a ticket office. There’s a restroom there already but that could honestly use some TLC. Privatisation may not be a bad thing but then again let’s leave some of our beaches be? We don’t need to commercialize everything, maybe. The food we had at the beach left much to be desired. There’s more than one restaurant however so next time I return I will simply try another shop. We had conch soup from a man on the far side of the beach that was absolutely divine, we should have gone there instead for our full meal. Anyway, the beach is too beautiful not to return because of bad roads and bad food. What I love about our public beaches here in Jamaica is the abundance of culture. Winnifred Beach was no different. Music was pumping from a speaker somewhere adding to the vibe. I love the vibe of the people around selling their handmade items. I generally have a good time when I’m surrounded by my people in a laid back environment. Have you ever been? Tell me about it! How was your experience? And where’d you get food? 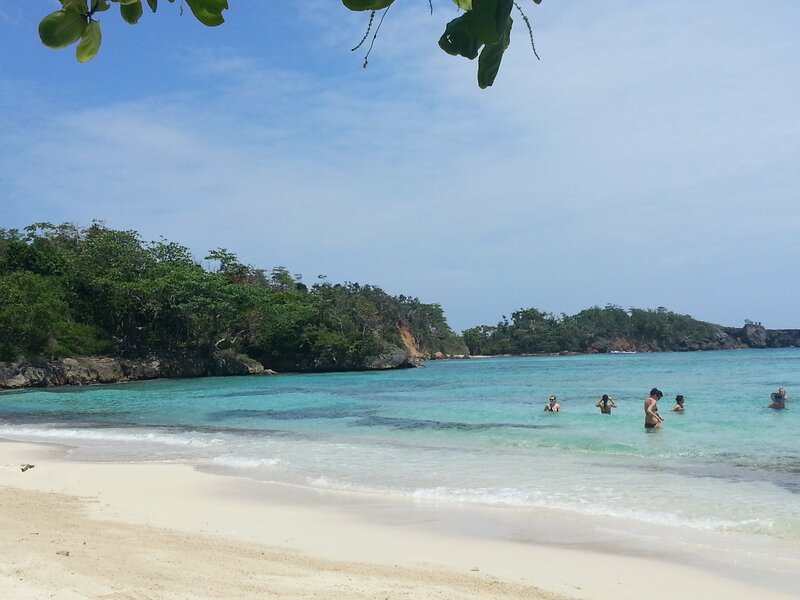 Related: Negril Beaches on the other end of the island is so good too!